Rebecca Cohen-Palacios is a UI artist currently working at Bethesda Game Studios. She's shipped games like Assassin's Creed Origins, Assassin's Creed Syndicate and Shape Up (Kinect). Before switching for a career in game development, Rebecca spent six years designing user interfaces for websites, apps and digital experiences. She is the co-founder and director of Pixelles; a non-profit organization dedicated to empowering more women-in-games through free programs, events and community love + support. 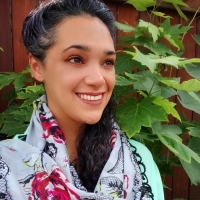 Rebecca is a passionate advocate for diversity, inclusion, community organizing and driving change through grassroots initiatives which informs her work as a game developer in this industry.